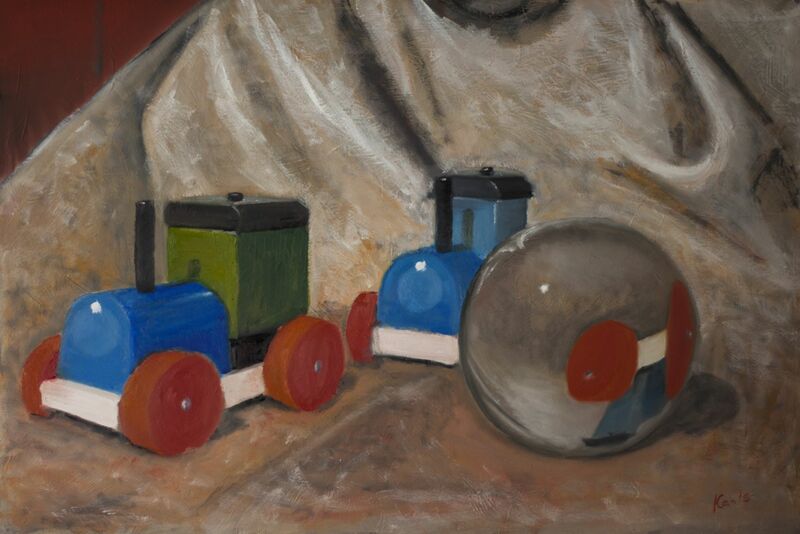 Description: This painting is created as one of the works in the series about toy train. These works were inspired by my son. Games with my son led me into thinking about my childhood, and my toys. Some of which have not changed over time. And this could be considered a monument to my father because there's no longer Him to ask about His childhood. I was born in a small village in Latvia. I have received formal education at a regular school. But getting my knowledge has moved by curiosity on rest of life. I am a self-taught artist. My knowledge I have gained from experience and observation. At present time I live in Leeds.